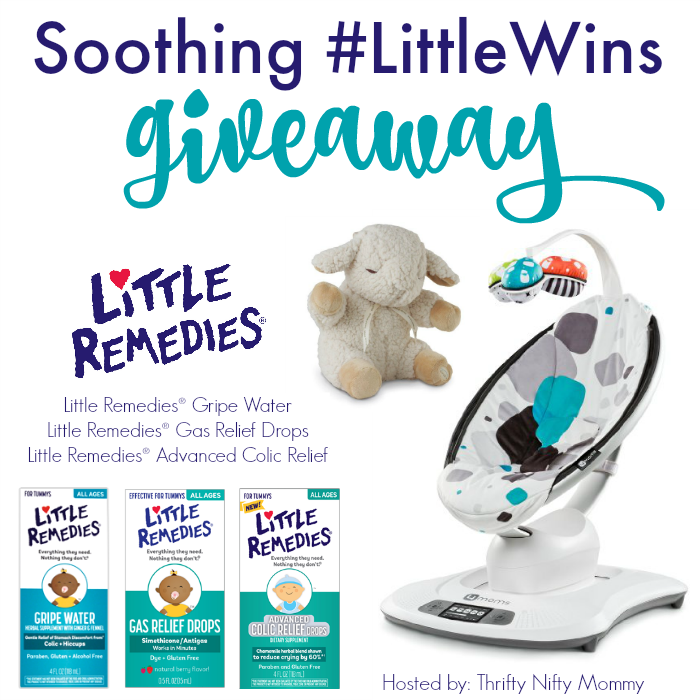 Love, Mrs. Mommy: Soothing #LittleWins Giveaway! $350 Prize Pack! Soothing #LittleWins Giveaway! $350 Prize Pack! I am excited to bring my readers such an amazing prize pack! Enter for your chance to win $350 in goodies! Good luck! Sometimes, motherhood can be downright exhausting! Between juggling errands, nursing, and feedings on little to no sleep, just finding 10 minutes to shower could be considered a little win to a new mom. Little Remedies® is on a mission to help moms celebrate the Little Wins they experience each day with their #LittleWins Challenge, which gives entrants the chance to win amazing prize packages valued at $350! How do you enter? Just follow Little Remedies® on Facebook and Instagram then respond to the #LittleWins prompts with your own your own mealtime, mommy time, or multitasking victories to enter. Official rules can be found HERE. If you'd like to enter, use the Giveaway Tools entry form below. Good luck! Founded by a pharmacist and father, the Little Remedies® brand provides products with safe and reliable formulas to support the health and well-being of infants and children. We formulate our full line of products to ensure they do not contain any artificial flavors, artificial colors or parabens and are created with the very specific needs of babies in mind. Little Remedies®. Everything they need. Nothing they don’t. Disclosure: Little Remedies® is responsible for prize fulfillment. The color of the mamaRoo received may be different from the one pictured above. This giveaway is not associated with Facebook or Instagram. For questions about this giveaway please email Janessa from Thrifty Nifty Mommy - thriftyniftymommy@yahoo.com.